Interested in a talk on Newark's history or architecture? Welcome to Newarkology, a page dedicated to the exploration of New Jersey's greatest city. From Woodside to Weequahic and from Ivy Hill to the Ironbound, come see what a fascinating place Newark is. 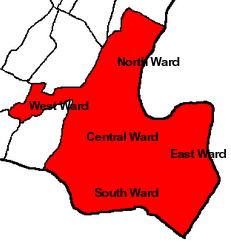 Click on sections of the map below to be taken on a tour of any city ward you want. History homework help is your top choice. My Paper Writer - history paper writers.